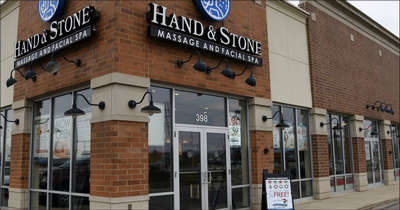 Join us in celebrating the Grand Opening of Hand & Stone Massage and Facial Spa! 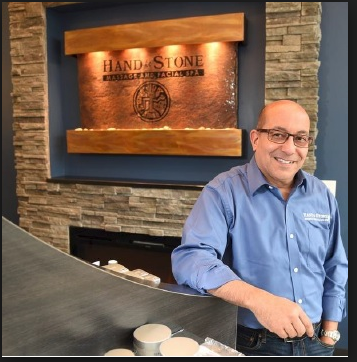 Hand and Stone Massage and Facial Spa provides professional spa experiences at affordable prices seven days a week. In a stress-filled world, our full body Massage will relieve tension, soothe tired muscles and temper migraines. 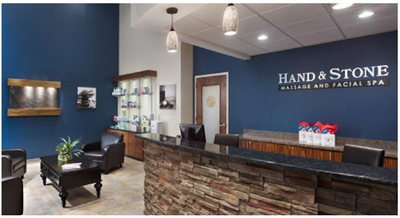 We offer several choices including Swedish, Deep Tissue, Sports and more! Be sure to ask us about our Signature Hot Stone Massage, designed to melt away the stress of deadlines and hectic schedules. Looking for quality time with a loved one? Ask us about our private sanctuaries reserved for Couple's Massage. Come and get to know your new Business Neighbor!